SOUTH AFRICA’S GREAT white sharks face the threat of extinction after a rapid decline in numbers caused by trophy hunting, shark nets and pollution, according to a study released this week. “The numbers in South Africa are extremely low. If the situation stays the same, South Africa’s great white sharks are heading for possible extinction,” said study author and Stellenbosch University researcher Sara Andreotti. We have come to the conclusion that South Africa’s white sharks faced a rapid decline in the last generation and that their numbers might already be too low to ensure their survival. The study published in the journal Marine Ecology Progress Series also blamed shark nets, ocean pollution and baited hooks on the eastern seaboard of South Africa for the dwindling numbers. Although the great whites population has dropped off South Africa, the report said the sharks were still found in large numbers off the coast of Canada, Australia and the United States. 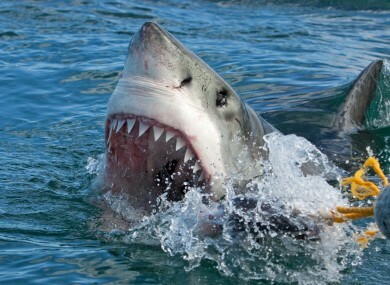 The South African coast is notorious for shark attacks, with regular cases of deadly mauling of surfers and swimmers. Email “Sharks in South Africa that regularly maul people are now facing extinction”. Feedback on “Sharks in South Africa that regularly maul people are now facing extinction”.